In stores it is easy to find a hedgehogdiaryor notepads in different sizes, colors and even shapes. 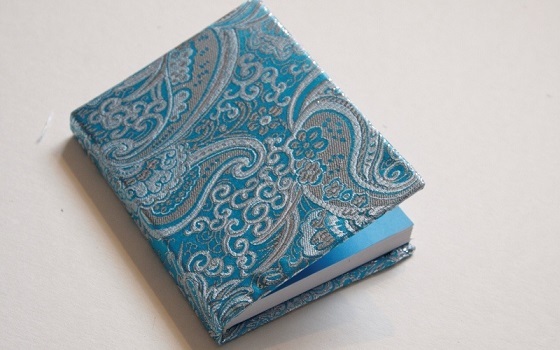 But the diary, which is "disguised" with his own hands, will become a favorite. With this diary it will be nice to share intimate thoughts. 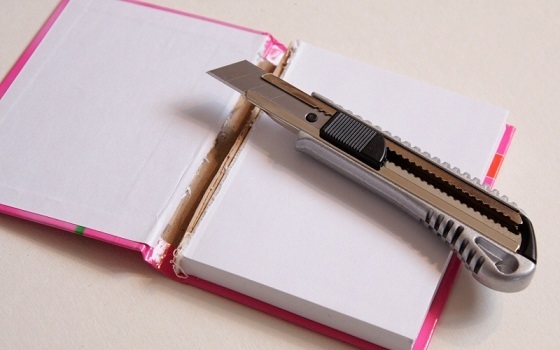 Notebook or diary, a piece of thick fabric, thick colored paper, stationery knife, glue, scissors, ruler. First, pull out the cover the unit with sheets. 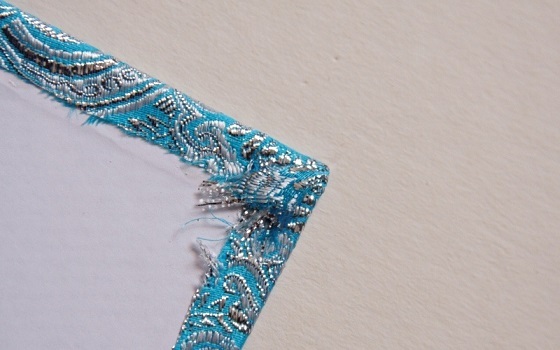 Use the letter opener: both of flyleaf cut, be careful not to damage the unit. The block set aside until aside. 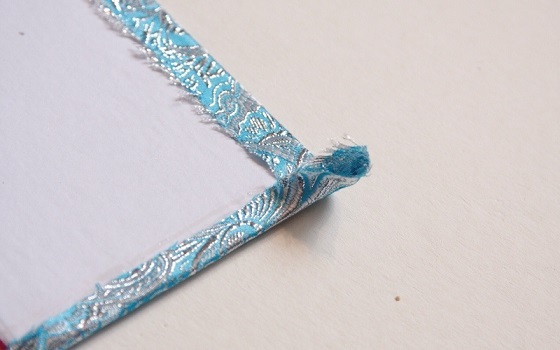 On a piece of thick fabric position the cover. Outline the cover on the fabric. Now with scissors cut out the rectangle stitched, leaving a margin of one inch. 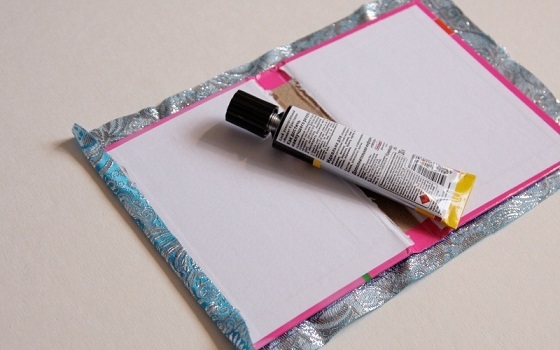 Apply to the edge of the cover glue. 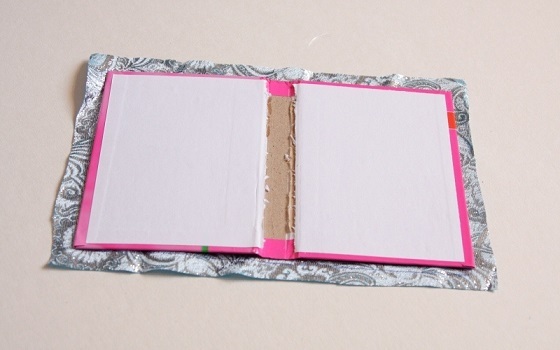 One side of the rectangle glue, and then glue the opposite side. 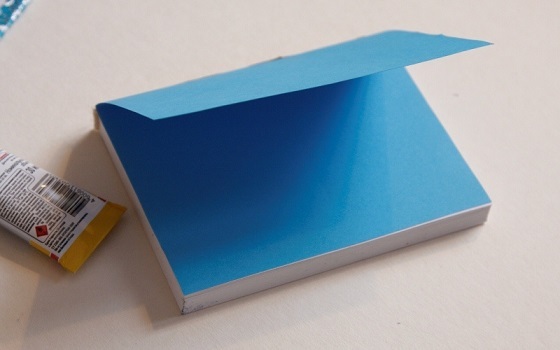 If the spine of the cover has turned convex, then also apply the glue. You don't want to touch the fabric on the corners. Glue all sides of the rectangle. Thus it is necessary to uniformly stretch the fabric! Connected at the corners of the cloth, tuck them so that no protruding edges. Try to make the edges flat, they should not be too thick. 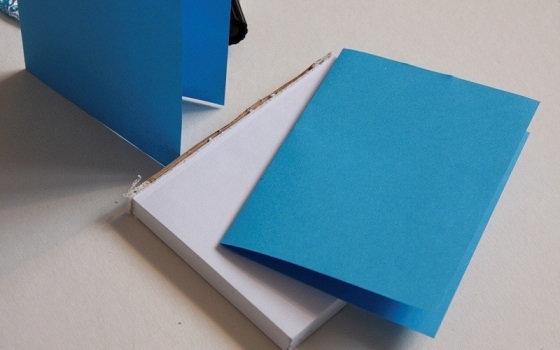 Cut out of colored paper two rectangles, fold in half - should have two "little books". 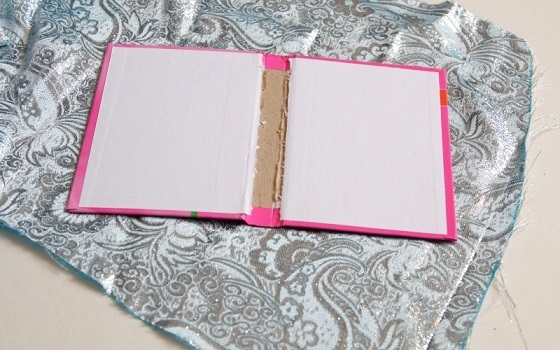 Apply to one external side of the "little book" glue, glue to the block - turned front. In the same way glue the second "book". 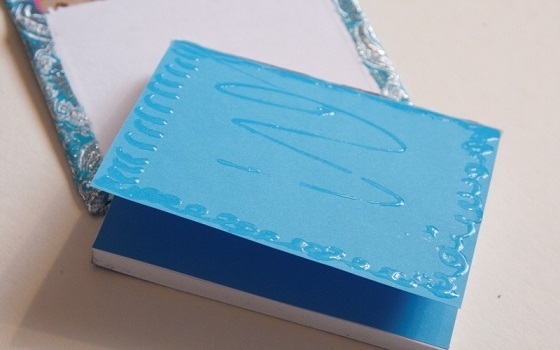 Now, apply glue on the free part of the "booklets" (on the outside), insert the cover. Stick and the second flyleaf. The original cover finish.